After the mechanical success of the gearbox in the Frankie model I thought I’d try an even larger reduction ratio. 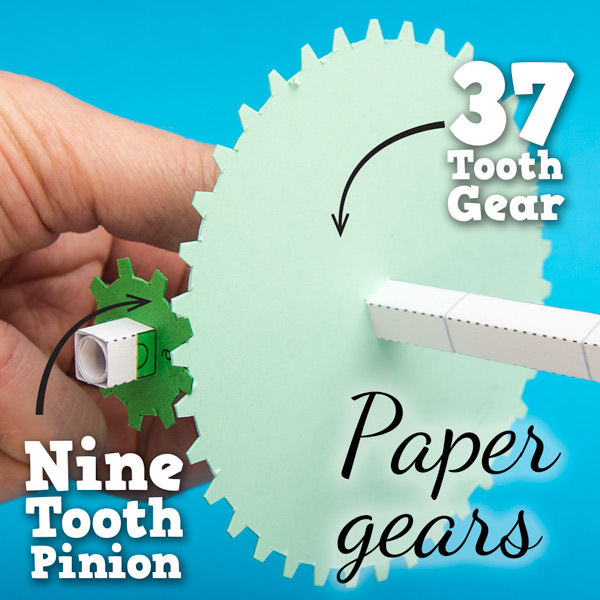 I’ve gone with a thirty seven tooth gear meshing with a nine tooth pinion. If it had been thirty six and nine the ratio would have been exactly four to one. I’ve added the extra tooth so that the same teeth don’t mesh together all the time. 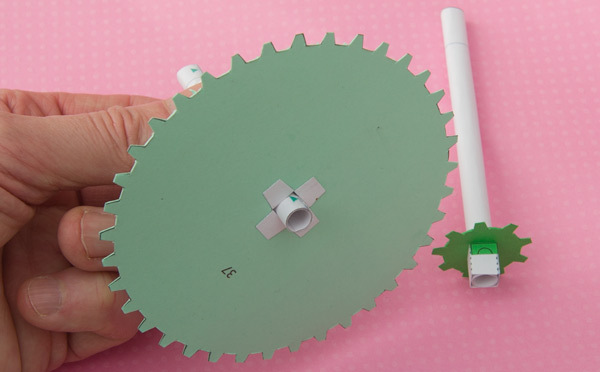 The small gear in a drive chain is know as a pinion. In this case the pinion has nine teeth. They fit together at ninety degrees to each other something like this. There will be a box holding them in alignment. I’m planning on fitting them like this so that the axle from the large gear is running level. It can then be used to drive a couple of cams. 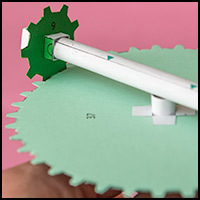 With four turns of the handle to each turn of the large gear it should be possible to fit a reasonably long ‘story’ into this mechanism. 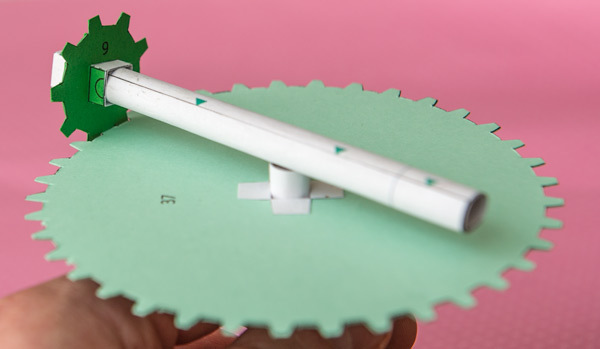 you could also add a crank and have something like a sailboat slowly bobbing across the water.